Vietnam has maintained its position as the world’s largest pepper exporter so far this year, but experts say the country is missing out on bigger profits by failing to upgrade its low-quality, inexpensive products. Some 40,000 tons of pepper were exported in the first four months of the year, generating US$110 million in total turnover, the General Department of Vietnam Customs reported. 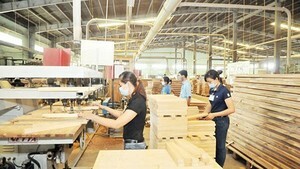 White pepper accounted for 19.1 percent of the shipments, up from 16.8 percent in 2009, the agency said. Vietnamese companies also shipped a variety of powdered pepper products, accounting for 12 percent of the 40,000 tons, over the period. In 2009, Vietnam shipped about 154,000 tons of pepper of various kinds, earning $348.1 million, the industry’s largest annual export turnover to date. Global pepper prices have been on the rise since August 2009 as the world economic recovery picks up steam. As a result, Vietnam’s average export price in the first quarter was $2,809 per ton, up 29.6 percent from a year earlier, according to the Vietnam Pepper Association (VPA). Vietnam has left behind other leading pepper exporting countries, including Indonesia, Brazil, and India. Last year, the three countries exported only 40,000, 32,000, and 22,000 tons of pepper respectively. 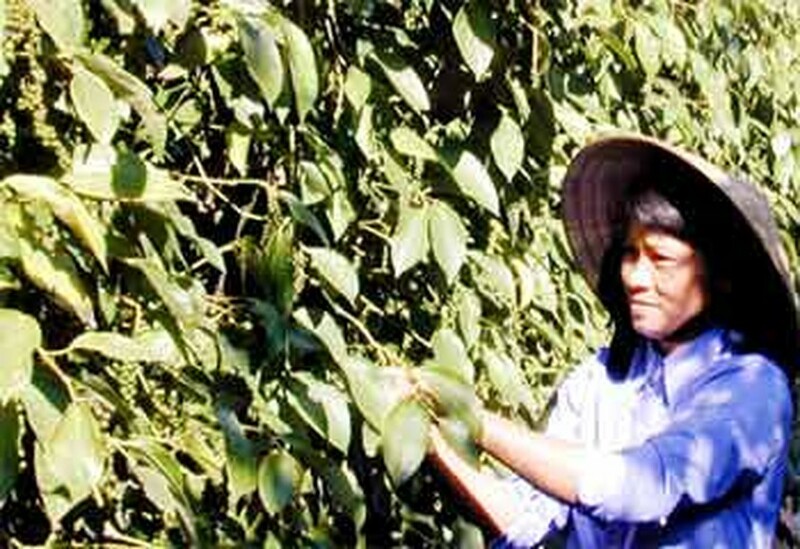 Vietnam’s pepper export markets have gradually shifted from Asia to Europe, where strict guidelines regulate the quality of pepper imports. After attending a European Spice Association conference in Italy in June 2009, the VPA provided a report on pepper processing that proved to foreign partners that Vietnamese companies do not use chemicals to bleach their pepper. The respect and trust gained led European and American companies to import more than 22,500 tons of white pepper last year, up 125 percent from 2008. Currently, Europe has surpassed Asia as the number one destination of Vietnamese pepper, accounting for 41.5 percent of the country’s total pepper exports. Experts have attributed the success to the local pepper industry’s adoption of an export plan in which export volumes are allocated equally over time, instead of only pushing up shipments in harvest seasons. The plan has helped the country take a better control over supply-demand balances and global prices. As a result, while the export prices of other farm produce, like rice, coffee, cassava, and cashews, have reduced, the export price of pepper has held steady at $3,000-3,100 per ton. But despite all the good news, the export price of Vietnamese pepper products is lower than the average on the world market. Therefore, India, Indonesia, Malaysia, and even China opt to import pepper products from Vietnam and then re-process them before re-exporting the goods to a third country at higher prices. Experts said Vietnamese pepper processors should improve the quality of their finished products to create more added-value and improve their competitiveness on the world market.